An email obtained by Josimar shows that Maria Claudia Rojas, the newly appointed chair of the ethics committee’s investigatory chamber, was lying when she claimed that Gianni Infantino was not under investigation. The FIFA president was in fact investigated for two serious violations when he fired those in charge of the investigation. At the congress in Bahrain in May, FIFA president Gianni Infantino single-handedly got rid of Miguel Maduro, the chair of the governance committee, and both Hans-Joachim Eckert and Cornel Borbely, the chairs of the two chambers of the ethics committee. This move by Infantino starkly contrasts what he promised when elected new FIFA president on the 26th of February 2016. The day before the election in Zurich, Infantino sent a letter to all the 209 presidents of the national associations. After the arrests of 14 FIFA officials conducted by the FBI and Swiss authorities in May 2015, FIFA was in desperate need of rebuilding its organisation to regain any credibility. 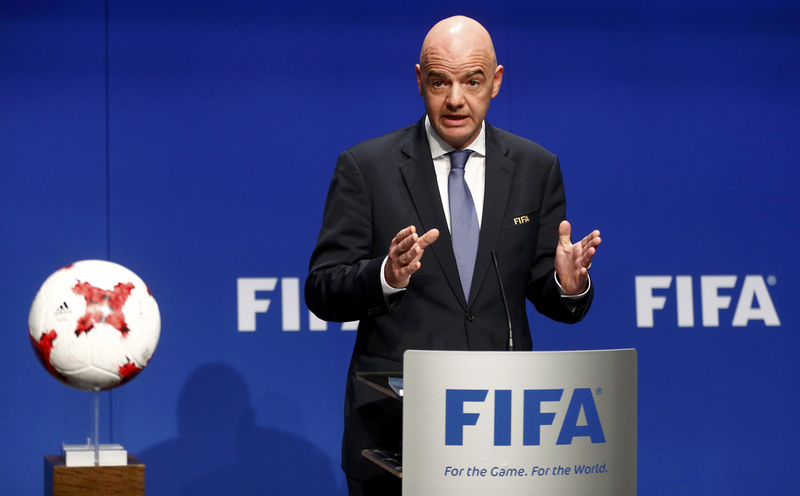 When elected new president of FIFA, Gianni Infantino pledged a new future for world football’s governing body. Since then, his senior vice president Ángel María Villar has been arrested on multiple charges and Infantino himself have been investigated at least three times by the ethics committee for breaching rules and regulations. In April this year, Der Spiegel revealed that Gianni Infantino was subject of a preliminary investigation by FIFA’s ethics committee over possible interference in the African football confederation’s (CAF) presidential election. But the first act of Maria Claudia Rojas, the new chair of the investigatory chamber of the ethics committee, was to claim that Infantino was never under any investigation, and added that the ethics committee “would refrain from commenting any further on baseless speculation”. 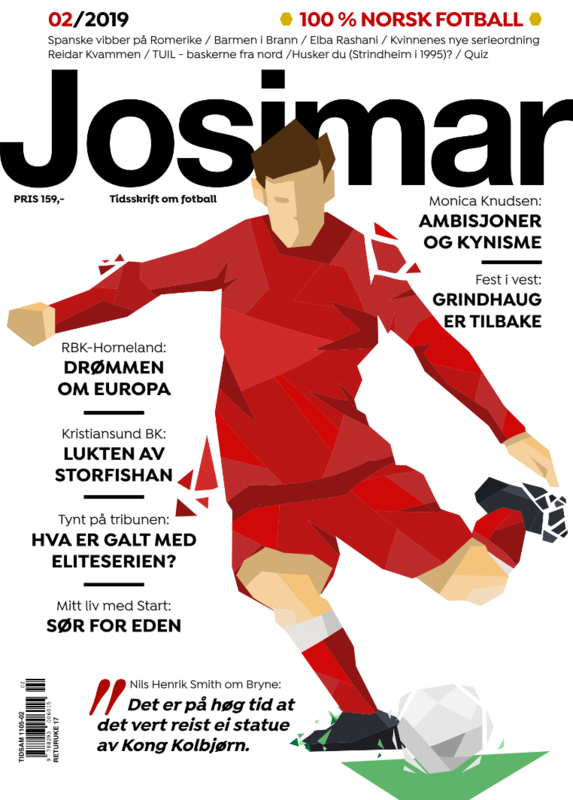 This magazine can now provide documentation that the FIFA president was indeed under a preliminary investigation by the ethics committee. At the beginning of 2017 the relatively unknown Ahmad Ahmad from Madagascar, a footballing minnow even by Southern African standards, launched his candidacy to challenge Issa Hayatou for the presidency of CAF. Nobody gave him a chance. Not only did going up against the iron-fisted and experienced Cameroonian seem like political suicide, Ahmad was a curious choice as a small, timid player among mostly strong-willed and vocal colleagues within CAF who would benefit from Hayatou’s downfall. Those who have witnessed Ahmad at CAF’s executive committee meetings since 2010 describe him as someone who hardly raises his voice. The Malagasy himself admitted he himself did not come up with the idea of running, but was persuaded to do so by other officials. In other words, he was hand-picked. On the 16th of March he won a landslide victory in the Ethiopian capital of Addis Abeba. A closer look at what happened leading up to the election explains it. A group of CAF delegates weren’t pleased with Hayatou’s authoritarian style, and plotted to overthrow him. Another who wasn’t pleased with Hayatou, because he resisted reforms from FIFA and was hard to control, was Gianni Infantino. A collaboration is supposed to have started already during the FIFA congress in Mexico in May 2016, but a meeting in Nigeria the following month seems to have been arranged specifically for this purpose. Among those who attended the meeting were seventeen presidents of national associations who later turned out to be Ahmad’s first outspoken supporters, and FIFA’s secretary general Fatma Samoura. The involvement of the FIFA president became more apparent, however, when he attended the birthday party of flamboyant Phillip Chiyangwa, president of the Zimbabwean FA, a month before the elections in Ethiopia. The party was another poorly disguised assembly of Ahmad supporters, as video footage from the party showed Chiyangwa chanting that “Hayatou is going down”. Infantino, who initially came to Africa for a summit in South Africa, and and scheduled visiting two other African nations, ended up going to nine in what was a poorly disguised campaign for Ahmad. This prompted CAF’s secretary general Hicham El-Amrani to file a letter of complaint, and insinuated that the presence of Infantino was clearly undue. In the days leading up to the election, FIFA’s review committee, which evaluates the eligibility of candidates, received a torrent of claims from both sides, who looked to eliminate rivals before election day. In Addis Abeba, where this magazine was present, we saw Infantino active in the corridors through his consigliere Mattias Grafström and FIFA’s head of development for CAF, Veron Mosengo-Omba. The latter is a close friend of Infantino. Mosengo-Omba, known as just Veron, who once had been fired from FIFA for ‘gross incompetence’, was brought back into the organisation by Infantino himself after the Swiss-Italian became FIFA president. CAF had not accredited Veron Mosengo-Omba in Addis Abeba. They accused him of exploiting his power to influence the elections, as he could stop or open the payments of development money to federations. To Josimar, several sources claimed that Veron even rented two hotel rooms to hand out cash bribes in order to secure votes the night before the election. The links between Ahmad and Infantino goes back to when the current FIFA president campaigned for his own presidency. Upon visiting Madagascar, he not only met Ahmad, who served as minister of the fishery. He also met Fatma Samoura, who was a UN commissioner on the island, and heavily involved in local politics to remedy a collapsed economy. After the CAF election the ethics committee at FIFA had received enough alarming indications that there had been undue interference from the FIFA administration into a local election, something which violates FIFA’s rules. The Guardian echoed Der Spiegel’s claims in June that Infantino, along with Fatma Samoura, had promised to accelerate development payments to African federations in exchange for voting on Ahmad. The same newspaper reported that several African football presidents had been contacted by the ethics committee to shed light on the events, and that at least one of them had been summoned to Zurich for a hearing with the investigatory chamber. Josimar can now confirm that this was the case. An email exchange between the ethics committee’s office manager and the president of one the African football associations, shows that a meeting had first been scheduled for the 5th of April. Due to visa problems, the meeting was rescheduled for the 9th of June. In the end, however, the meeting never happened as events at the FIFA congress in Bahrain in May changed everything. One month before the scheduled meeting, on the 9th of May, the Colombian investigator, Maria Claudia Rojas, was appointed chair of the investigatory chamber of the ethics committee, replacing the fired Cornel Borbely. Borbely, along with Hans-Joachim Eckert, were only informed of their removal when arriving for the FIFA congress in Bahrain. The chairman of the investigatory chamber, Cornel Borbély, stated during a hastily organised press conference that ‘investigations into hundreds of ongoing cases would now be stalled’ and that reforming FIFA now ‘had stepped backwards for several years’. His replacement María Claudia Rojas, an attorney and former president of Colombia’s council of state, who confirmed in an interview with the local newspaper El Tiempo that she had personally talked to Infantino on two occasions before the FIFA congress in Bahrain. And just one month after her appointment she blatantly denied The Guardian’s claims that the FIFA president was under investigation by the ethics committee. Allegations that he had been promised a spot in the FIFA council in exchange for support for Gianni Infantino. Regarding undue interference in the CAF elections by the FIFA president and secretary general . In June, FIFA stated that Maria Claudia Rojas, the new chair of the ethics committee’s investigatory chamber “has confirmed that all files have been handed over to her and that there are no open preliminary or official investigation proceedings involving the Fifa president”. Has anything changed regarding this statement? Or does this still apply (that there was no investigation into Infantino)? Does FIFA still believe that reports claiming Infantino was under investigation by the ethics committee «was baseless speculation” or has new evidence come to light? 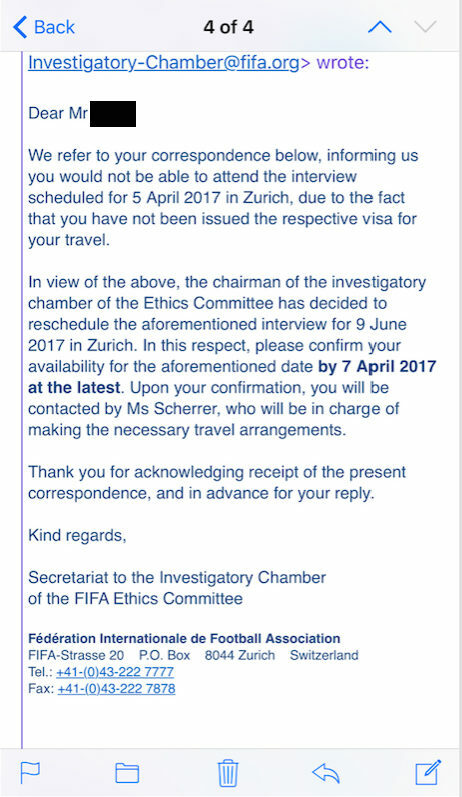 FIFA has not responded to our questions.